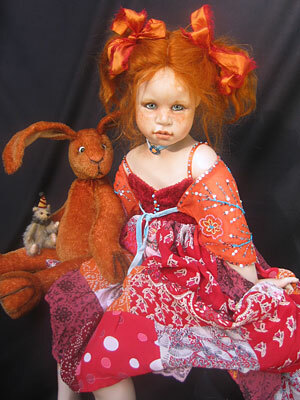 Ginger—a cute "hippy chic," her eclectic outfit includes a bright, flowing patchwork skirt, a beaded shrug and fuzzy bodice. 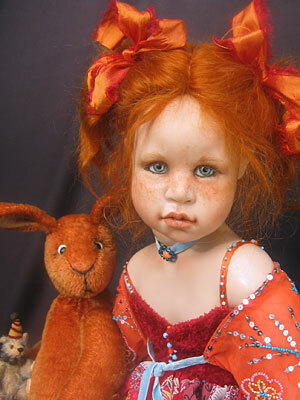 Her wig is made of soft ginger mohair. She also has decorated legs. 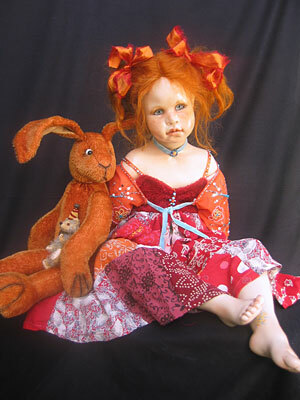 Her friend "Rogers" is a hilarious mohair bunny.